Marie C. Hoffman, the daughter of Lilie (Duel) and Axel Anderson, was born January 1, 1919 at Greeley, Colorado. She departed this life on Wednesday, March 27, 2019 at the Webster County Community Hospital in Red Cloud, Nebraska at the age of 100 years, 2 months and 26 days. Marie received her formal education attending grade school district #85 in Weld County, Colorado, and graduated from high school at Kersey, Colorado. Marie earned her Bachelor of Arts Degree at the University of Northern Colorado in Greeley and her post-graduate studies at the UNK in Kearney, Nebraska. Marie taught public school for 40 years beginning in Colorado at Valley View District, Agate and Loveland, Colorado. She then taught at Tonopah, Nevada, Blue Hill, Nebraska and her last 26 years were here in Red Cloud. She was united in marriage with Marlin Karl Lewis Hoffman on June 16, 1949 in Greeley, Colorado. 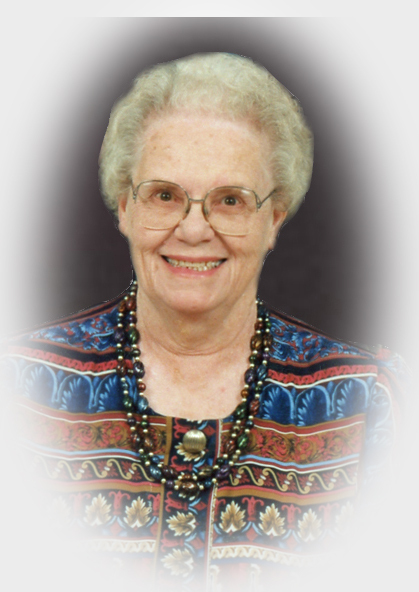 In her leisure time, Marie was a dedicated volunteer with her church and community. She was a member of the First United Methodist Church, the Pink Ladies with the Webster County Community Hospital; N.E.A. Retired Teachers’ Association, the Order of Eastern Star, the American Legion Ladies Auxiliary and Delta Kappa Gamma. Marie enjoyed growing flowers and tending to her garden and yard. For many years both she and Marlin were Hospice volunteers. Her greatest love and enthusiasm in life was for her family and she especially cherished time spent with her grandchildren, Bret and Julianne and family. Preceding her in death were her parents; her husband, Marlin, on October 26, 2012, and sisters Rachel Gordon and Lucille Luther. Left to treasure her memory are her son and daughter-in-law, Don and Diane Hoffman of Red Cloud; grandchildren, Bret Hoffman and wife, Oyukhai and Jagaa of Phoenix, Arizona; and Julianne Hoffman of Red Cloud; other relatives and friends. Funeral services were Saturday, 1:00 p.m., March 30, 2019 at the First United Methodist Church in Red Cloud with the Rev. Warren Schoming officiating. Interment was be at the Red Cloud Cemetery.